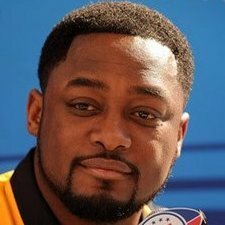 Steelers are 23-3 at home in prime time games since Tomlin took over. We should fire him over those 3 losses. We didn't play Chicago in 2014. That was 2013. I might have heard it wrong. Might be with Ben. 17-5 for Tomlin, so yea that might be Ben's record. Either way....for both guys that's hella impressive. I both enjoyed him and hated him as the KR. First return was refreshing to see the speed just turn it on and go... the next time I really saw him return he looked like a deer in the headlights and showed zero ability to make someone miss. But overall, I am all for having him as the KR -- even if only it just gives him more of a feel of involvement. But yo people talk about how he can change direction and cut so well!!! I was out of town all weekend and wasnt able to log on during the game. Its amusing how its always the same people blindly hating on Tomlin. Now, dont get me wrong, are there things to criticize? Absolutely....but its just amusing how they never show up to give him a sliver of credit when things are going well, but will try to blame him for absolutely everything when things arent going perfectly, and even nitpick his interviews to hate on him. And that SlevinKwhateverhisnameis acts like he is a victim and that people bash him just because he doesnt go along with the supposed "popular opinion". No sweetheart, you get crapped on because you are a broken record and 95% of your posts are just bashing Tomlin. Youve proven you arent capable of being rational or objective time and time again. Its just the same hateful nonsense every single time. I have plenty of criticisms of Tomlin....many of us do. I know you like to act like we are all just apologists and praise him for everything, but thats because you cant see beyond your own ridiculous bias. Just because some of us dont blindly bash him every time something goes wrong and are able to see the good doesnt mean we think he is some amazing coach. Most of us just believe he is a solid-good coach that has flaws, but alot of good attributes as well....but since you cant see past your hate, you just keep regurgitating the same garbage over and over.....which is why Im glad this new site has an ignore feature. 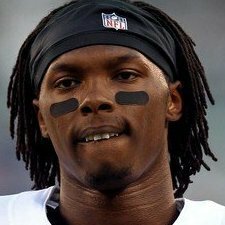 Only reason I am even commenting on your nonsense right now is because I unfortunately noticed many of your anti Tomlin posts as I read this thread as a guest during the game. It's a shame Tomlin never coached Bettis. It would have been fun seeing him out there. Especially towards the "best shape in his life" stage of his career from 2002 onwards.